Prayer and spirituality is simply a relationship with God. Each of us communicates in different ways and desires different things from our relationships. Here at St. Helen, we try to equip you in as many ways as possible to grow with Jesus, God, and the Holy Spirit. Whether your heart is heavy with worry and stress or your spirit is overflowing with gratitude for a God who loves you, we want to be with you as you grow in your relationship with God. Throughout the year, a number of Bible Studies are offered. Typically centered around a specific book or theme of the Bible, these groups run from 4 weeks to 3 months in length. Material costs are generally split between the parish and participant. Centering Prayer is a method of prayer that is based on ancient Catholic teachings in an updated form. It is not meant to replace devotions or other forms of personal prayer, but should add depth and meaning to them. The Centering Prayer group normally meets on Wednesdays from 3-4pm. If you have never practiced before, you will be paired with a mentor to prepare and guide you in the process. Please contact us if you would like to participate but the time slot does not work for you. 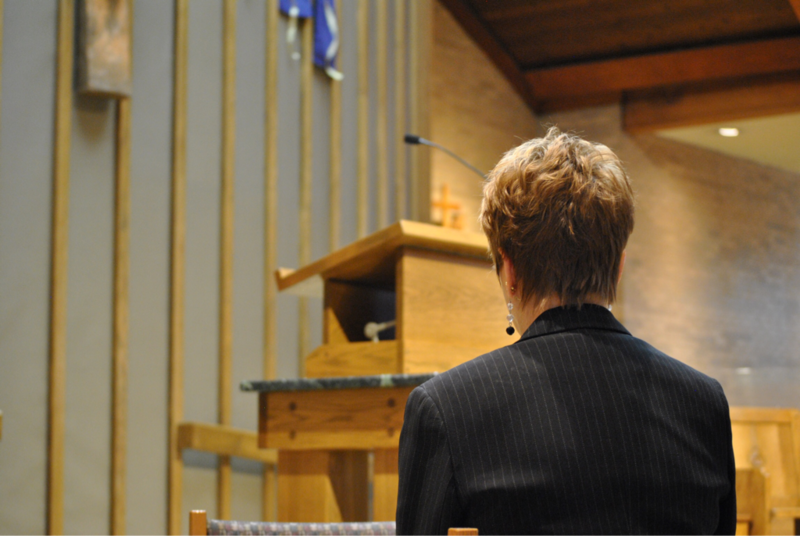 The church and Blessed Sacrament Chapel are open Monday-Friday from 6:30am-3:00pm for personal prayer. On the first Friday of the month, Eucharistic Adoration begins at 10:00am. The day ends with Exposition of the Blessed Sacrament from 5:00-6:00pm. During Lent, adoration is extended and Exposition begins at 6:00pm, followed by the Way of the Cross at 7:00pm. The Legion of Mary meets each week for prayer, planning, and discussion. In addition to devotions to the Blessed Mother, they also do service work such as parishioner visitation, prison ministry, and communion services. The Rosary is prayed Monday-Thursday after the 8:15am mass in the Blessed Sacrament Chapel. On Mondays after the 8:15am mass, this time of prayer is devoted to the Miraculous Medal Novena. Men of the parish meet regularly to enrich their spitiual lives so that God, family, and community are strengthened. This group gathers for prayer, discussion of readings, and fellowship from 7:30am-9:00am on the second and fourth Saturdays of the month. Here are a few websites to enhance your prayer experiences. Stuck in a meeting? Try Praying in Color. Have one minute? Read today's Daily Inspiration. Have two minutes? Read today's reflection from Ite Missa Est. Have three minutes? Take the Loyola Press 3-Minute Retreat. Have five minutes? Try the Five Minute Challenge.